There are a couple ways in which you may learn more about the personal results of those taking part in our program and about the program. 1.) email our clients directly at their listed email address. 2.) Subscribe to our mailing list thmi-fms. 3.) Join our online community to communicate with us in realtime. 4.) send us an email. Comments: "I've tried many things... Nothing has made a substantial difference like this has." Comments: "It's so simple; You wouldn't think something this simple would work, but it does." Comments: "I'm very glad that I met you and decided to take the program." Alexis W., age 19, diagnosed w/ FMS at age 12. 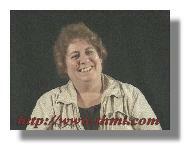 Janice W., age 55, FMS for 7 years. 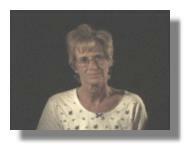 Mary K., age 67, GERDS for 8 years, CFS for 3 years.